An early selection of Janis Ruksan's that is a good red colour and has a short squat sature. 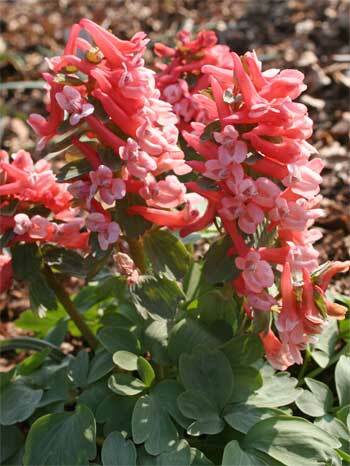 This Corydalis is slightly later flowering than some other red selections extending the period of colour into April. Plant 6cm deep in a well drained soil.10cm tall. These are from divided bulbs.